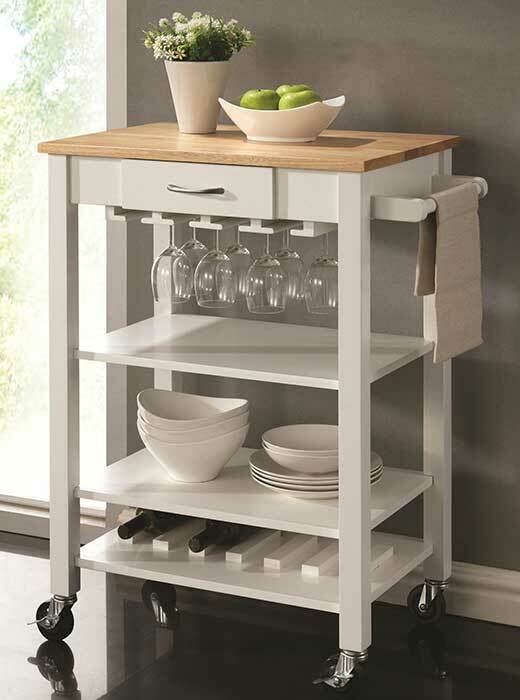 Crafted from solid rubberwood, this white finish kitchen cart features a natural finish butcher block for easy food preparation. Crafted from solid rubberwood, this white finish kitchen cart features a natural finish butcher block for easy food preparation. 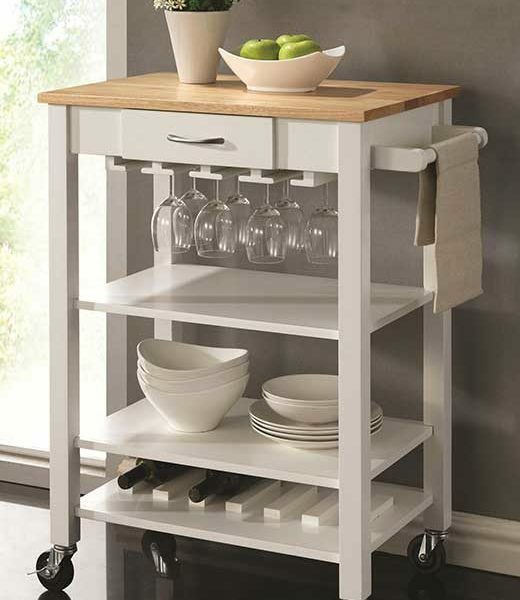 With a towel rack, wine bottle holders on the lowest shelf, a hanging stemware rack, and casters for mobility, this kitchen cart is a stylish solution for a kitchen or a casual dining area.